He was addressing the first convocation of All India Institutes of Medical Sciences (AIIMS), in Bhubaneswar, Odisha today. 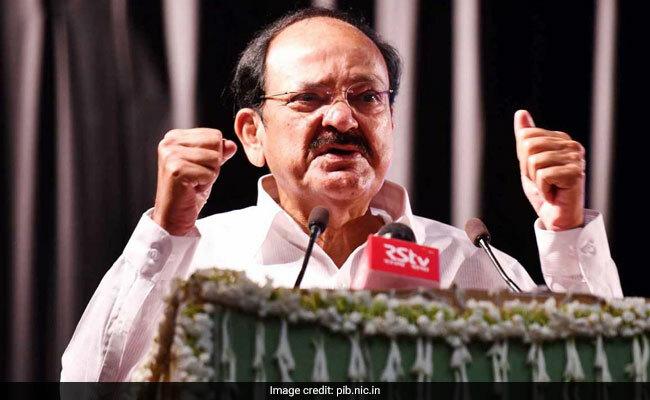 The Vice President of India, M. Venkaiah Naidu has said that doctors must be trained to be more sensitive to the sufferings of patients. While addressing the first convocation of All India Institutes of Medical Sciences (AIIMS), in Bhubaneswar, Odisha today, he also said that it should be mandatory for young doctors to serve at least two-three years in rural areas before considering promotions for them. The Vice President asked the doctors to be abreast with modern methods and latest trends in their fields of specialization. He further said that they should focus on disciplines such as family and community medicine. This will help in providing comprehensive health care for people of all ages in families and communities, he said. Mr Naidu said that Medical Education curriculum has to be constantly updated by including the latest developments and methods of treatment. The Vice President said that there is shortage of physicians, other specialists and nurses in the country and stressed on the need to increase the number of medical colleges and also expand medical services to every nook and corner of the country. The government is doing its best in this regard, the corporate sector and NGOs must come forward to supplement the efforts of the government, he added. The Vice President said that it is a matter of concern that the absence of qualified medical practitioners is making people to go to quacks. We need to overcome the acute shortage of health providers as also the infrastructure in rural areas, he added. Highlighting on the need to accord priority to primary healthcare and tertiary healthcare, the Vice President said that there is a need to increase the number of doctors available at health care centres residing in rural areas.